I will be working through all of the states individually over the course of the year. 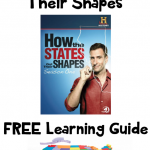 This pack is a general US geography helper to kick off the series! 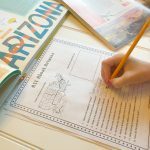 To do this lesson, kids will definitely need an atlas! 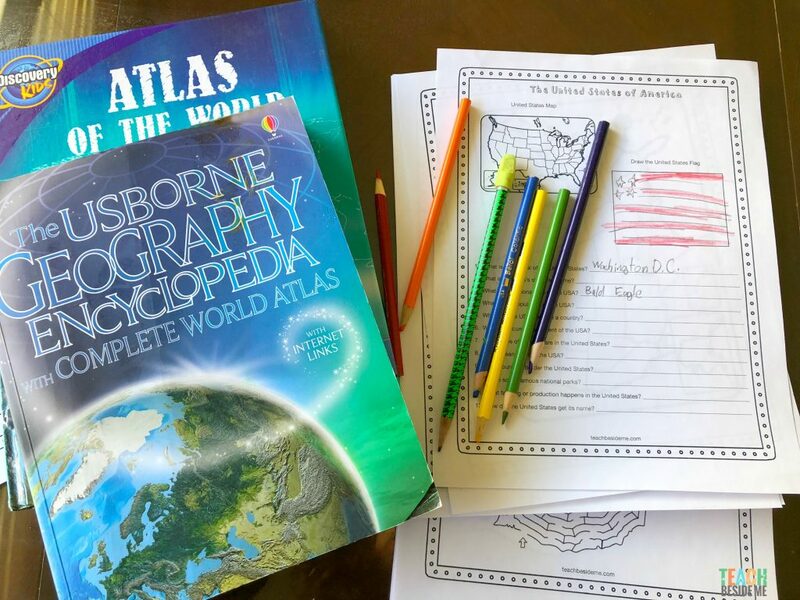 I mean, you could find all of the info online (Wikipedia tends to be my kids’ go-to point of research), but I think it is important for kids to learn how to use an atlas, personally. We pulled out a couple that we had on hand. The Discovery Kids Atlas of the World had most of the info and the Usborne Geography one was a little underwhelming. It just did not have the info we were looking for. 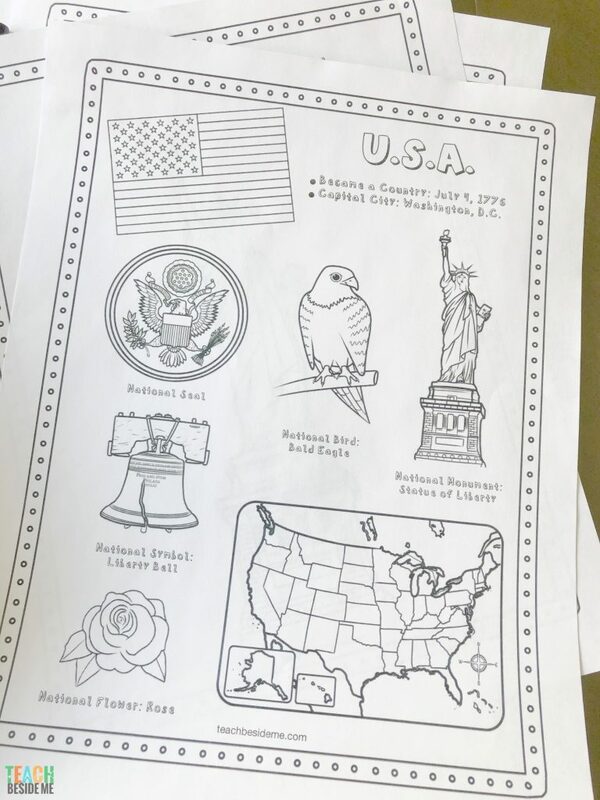 I am investing in a new USA atlas this week to get going on our USA state studies. I’ll share what we got in my next post! 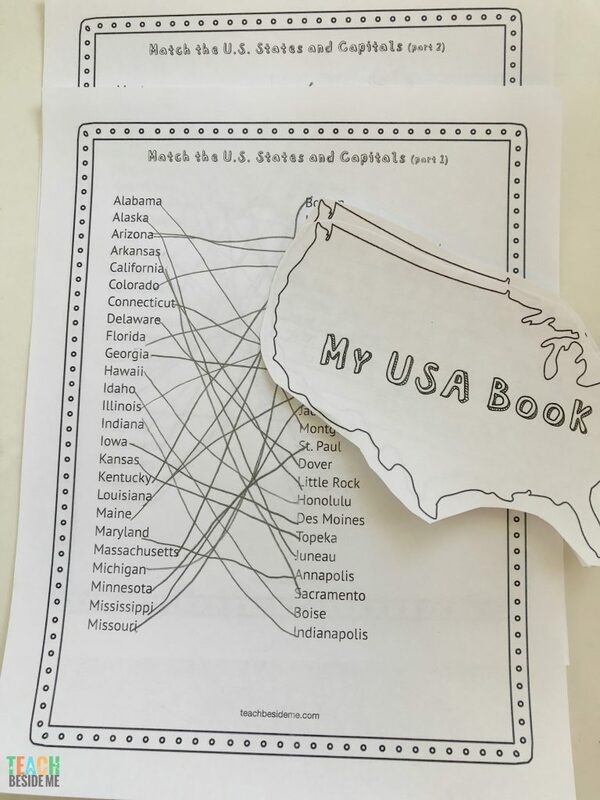 My daughter really likes the USA book. She just chose some of her favorite facts to write in it. She wrote about the first and last states to join the Union and the state she lives in as well as states she has visited. It is blank with some lined pages and some blank pages, so you can use it in any way you want! 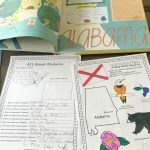 Interested in Printing the USA Geography Unit? This can be found in my shop!